Aquí os pongo algunas de estas preciosas ilustraciones con sus textos originales en inglés. Just finished is this study of Lt. Johansen and Fern. 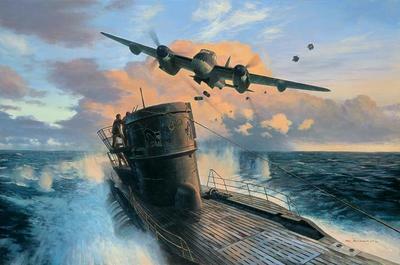 Hulmen, in 333 Sqn Mosquito HP864, attacking U-998 on 16th June 1944. They came in at very low level and dropped two depth charges which crippled the sub, forcing it to be written off when it got back to base. The details of this attack have been extensively researched by leading Norwegian historians making it a faithful depiction of the events on that day. Focke Wulf 190s of 9/JG5 taking off from Herdla, Norway, January, 1945. 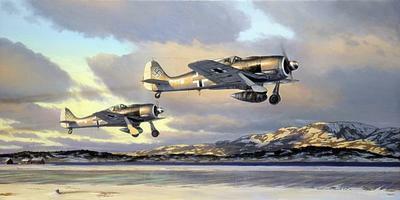 The pilots of JG5, based at Herdla were heavily involved in combat against the Allied Mosquitoes, Beaufighters and Mustangs that were attacking shipping fleets around the Norwegian coast.On this day, the pilot of the lead aircraft Uffz Heinz Orlowski intercepted and shot down a Lancaster that was engaged in a bombing raid on the nearby U-Boat pens in Bergen. 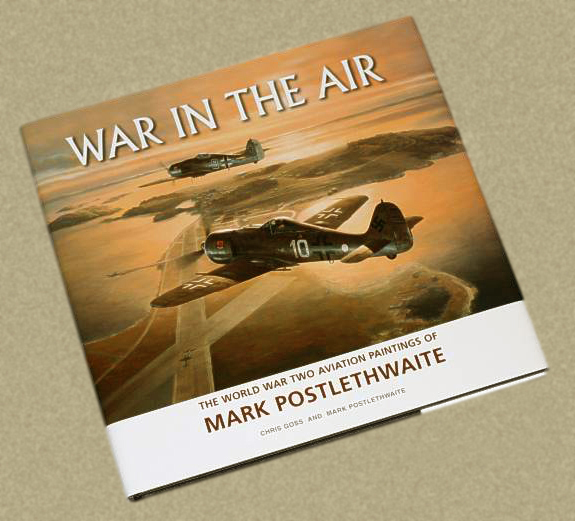 He subsequently claimed two Beaufighters and one Mustang before being shot down himself and injured on February 9,1945.